My multi-year Pacific Northwest Tour continues this week, please join me for some fun. Thursday: duo show with Phil on cello at Whisky West in West Seattle, 7-9PM. Free. Tasty food and drinks. Friday: band show with The Sting Rayes (you’ll love them!) at Mobster Mike’s, 8-11PM, free. Saturday: trio show with Mary Ann Miller and Oliver Dye at the Ship Tavern in Portland OR. Free. 8PM. Sunday: solo show at Black Dog Arts Cafe in Snoqualmie for brunch, 11AM-1. Free. And of course Wednesday for Happy Hour at Bernard’s from 5-7PM. 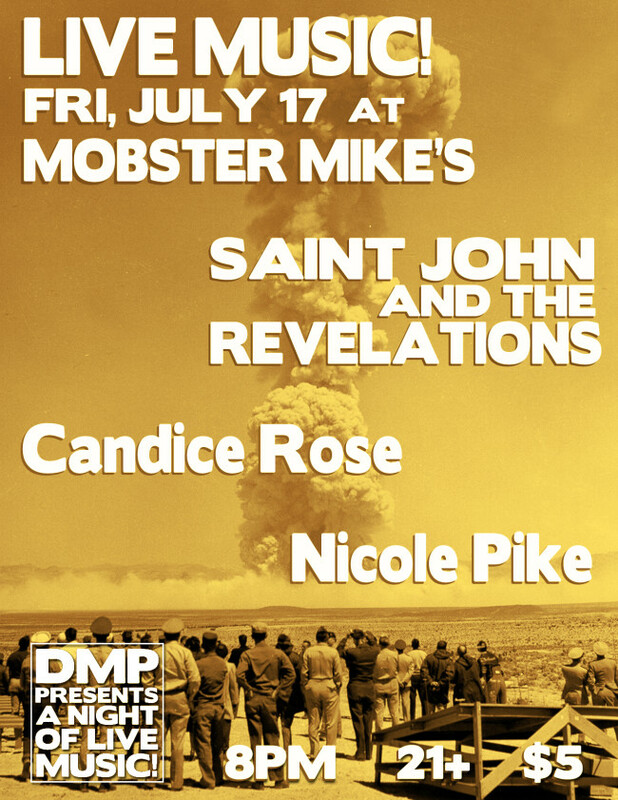 Kitsap County friends, we have our first full-band show this Friday at Mobster Mike’s in Bremerton, 8PM, 21+, no cover, please join us and see what we’ve been up to! We’re excited to finally bring the whole band over to Mobster Mike’s, join us on Friday Dec 16 at 8PM, no cover, and you might want to bring some shoes you can dance in. It’s also Mary Ann’s birthday, so come help us celebrate! Bremerton WA area friends, we are coming back to Mobster Mike’s to sing some songs on Nov 18, 8PM. Phil is joining me on cello, and Mary Ann will be singing also, tell your friends, good times guaranteed. I am returning to Bremerton WA on Friday August 19 for a special acoustic duo performance with Phil Hirschi on cello, tell your friends, this is going to be an amazing show. 8PM start, free entry, delicious beverages and food. Join me this Friday at Mobster Mike’s in Bremerton WA, July 15, 8PM, free entry. I’ll be performing this show all by myself and will be digging into some songs I haven’t sung in a long time, we’re going to have a very nice evening. Kitsap area friends, join us this Friday at Mobster Mike’s in Bremerton at 8PM for some live music and tasty beverages, FREE entry, and Tobias the Owl is joining us, you’ll dig him, I pinky swear. Kitsap County friends and fans, meet us at Mobster Mike’s in Bremerton this Friday, Katie Kuffel and I will switch off all night singing songs, fun times guaranteed. 8PM, no cover. Also performing: A Northern Light and A Better Tomorrow! We have a special show this Friday at Mobster Mike’s in Bremerton with James Clack and Reality Twist, and we’ll be celebrating the engagement of our dear friends, Dave and Krystle! We’re coming back to perform at Mobster Mike’s in Bremerton WA on Friday Nov 20, 8PM, no cover! Also singing: David Johnson, Anna Gordon, and Brad Fowble. Invite everyone you know in Kitsap County, let’s have a fun night! Hi! This is a reminder for my fans and friends in Kitsap County that I come over to Mobster Mike’s with some of my most talented singer-songwriter friends every third Friday of the month, including this month’s, Friday October 16. Mobster Mike’s has delicious food and beer, no cover, a fun video game arcade next door, and a cool geeky card shop across the street. And of course, live music from us starting at 8PM until around midnight! I always look forward to my monthly show at Mobster Mike’s in Bremerton. The food there is delicious, the sound system is superb, and we’ve built up a nice crowd of good folks. This month, Olivia Anderson and Sarah Pasillas are also coming over on the ferry to sing some songs, splendid times guaranteed! Bring your friends, they’ll thank you for it!